A member of the Professional Photographers of America since 1985, Currently, Marie and her husband Jon own and operate Timeless Memories Photography in Lacey, WA where they specialize in babies, children , families, and sports team photography. As one of the first Certified Professional Photographers in the country , Marie has been awarded the Master of Photography and Photographic Craftsman degrees from the Professional Photographers of America (PPA), along with the Fellowship degree from the Professional Photographers of Washington. She has also been awarded the PPA National Award from PPW for her service to the association. She is a firm believer in the power of professional associations; Marie is a past-president of the Professional Photographers of Washington. Marie also represents Washington as a current member of the PPA Council. 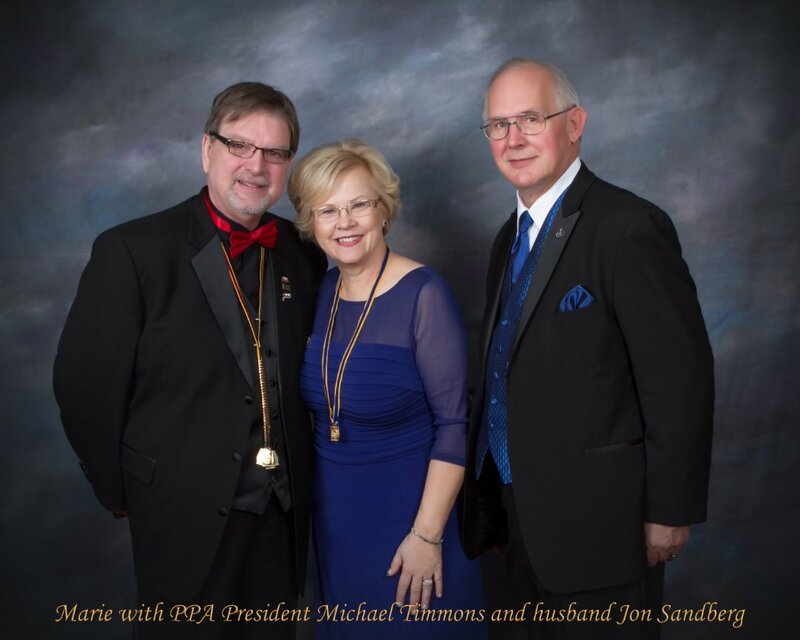 Marie is also currently serving PPA as the chairman of their nominating committee. Marie also is a Ambassador for PPA Charities.